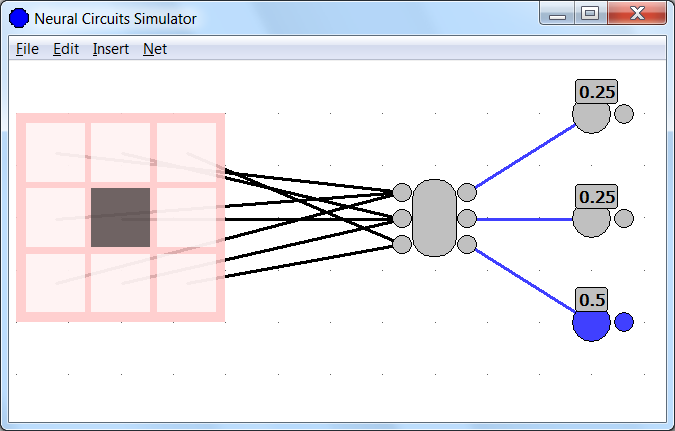 The Neural Circuits program is a simple neural net simulator. You can connect virtual neurones in any configuration you can imagine. Set each neurone's firing threshold and set each connection's weight. Reuse neural components as "neural chips" in your network. Double click a "neural chip" to see inside it. Use the input pad to easily change the input or manipulate some other part of the network. 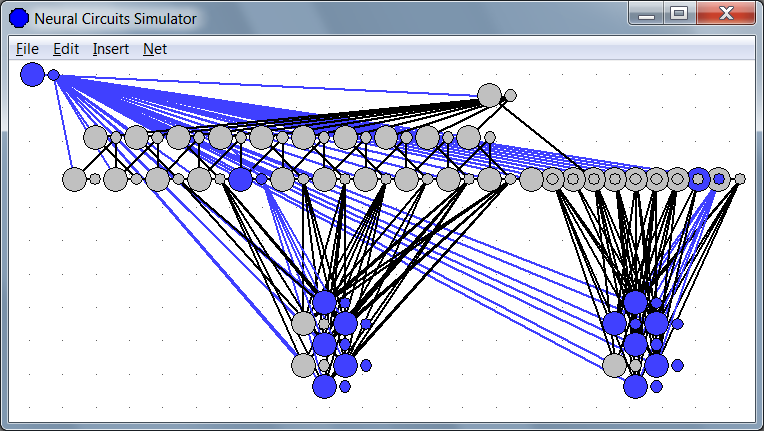 Groups of virtual neurones can be placed in labeled groups for easy neural classification. Zoom in and out using the mouse wheel. Part of my inspiration for writing this program was BrainBox, which also allows you to construct a neural network through a graphical user interface. Neural Circuits can open both its native SNN format as well as the BrainBox BBX format. 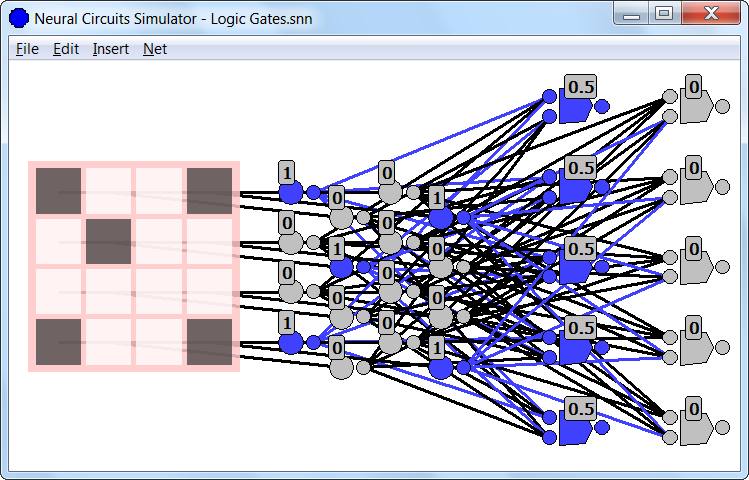 In addition to simulating simple virtual neurones, Neural Circuits also supports logic gates. AND, OR, XOR, and NOT gates are currently implemented. It seemed to me that a program called Neural Circuits should support a range of virtual neural circuitry. Neural Circuits currently includes an unpublished plug-in model. The plan is to support 3rd party plug-ins that implement a series of C++ interfaces. 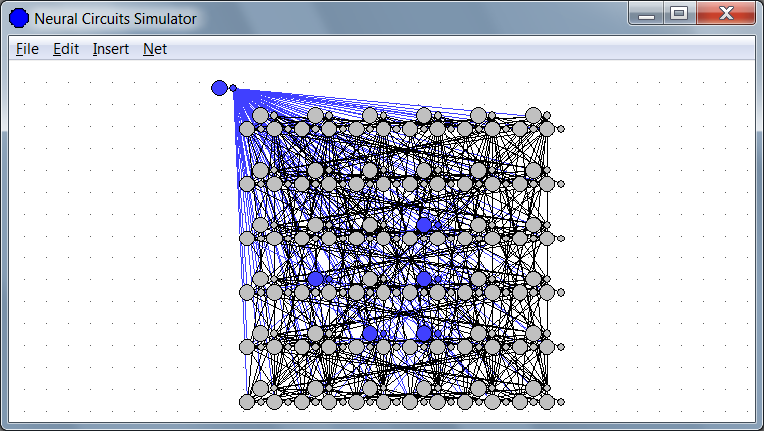 DOWNLOAD Neural Circuits for Windows - No installation necessary! Neural Circuits is written entirely in native C++. No MFC. No ATL. No STL. Pure Win32!